30 miles off the coast of Southern New England, Nantucket Island sits alone and exposed. Nantucket provides a variety of surf conditions that depend primarily on swell direction and sand movement along the Island’s south shore. South facing beaches from the Madequecham Valley to Madaket pick up the majority of south swells, providing a number of wave types, from slow moving walls to fast, hollow tubes. Ever shifting sandbars and rapid changing wind patterns are part of the challenge for Island surfers. Local knowledge and a good weather report is key. Summer is warm and playful, but Nantucket’s true surf season is fall and winter. 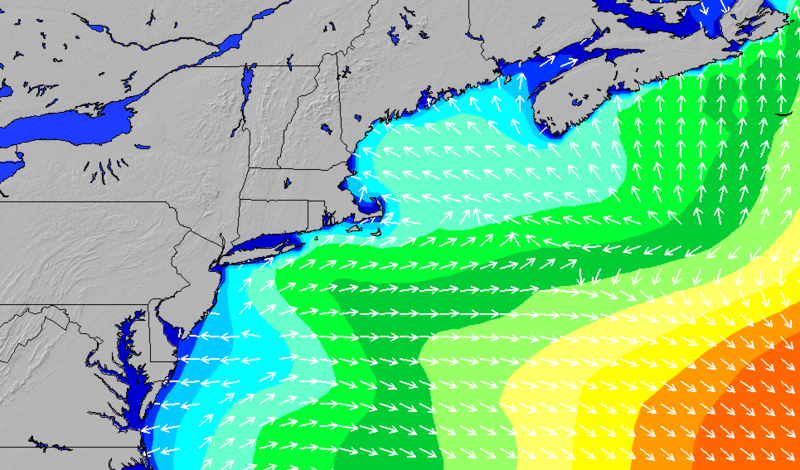 The water is frigid, but consistent swell from winter storms can provide Nantucket with exceptionally good surf.